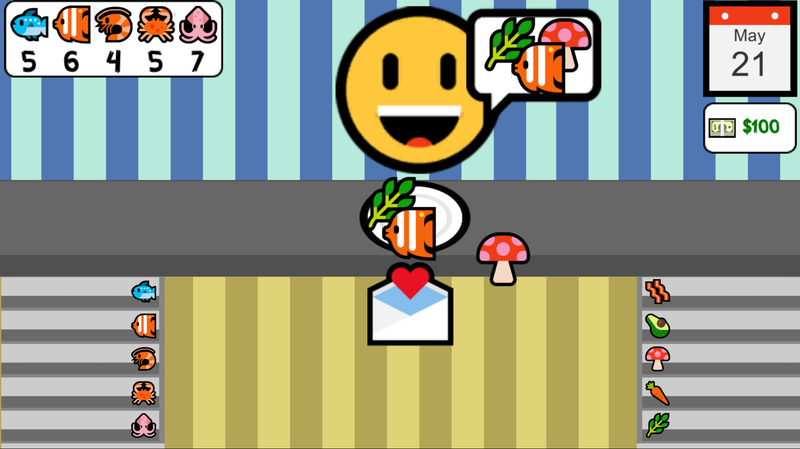 A 2D cooking/fish management game made in a week for the Emojiam. It was made in Unity using C#. You have to create meals for customers to your store while also restocking on fish by sending out fishers to the different docks on your island. You have the summer to make as much money off tourists as you can. Next Next post: Stomp Stomp!